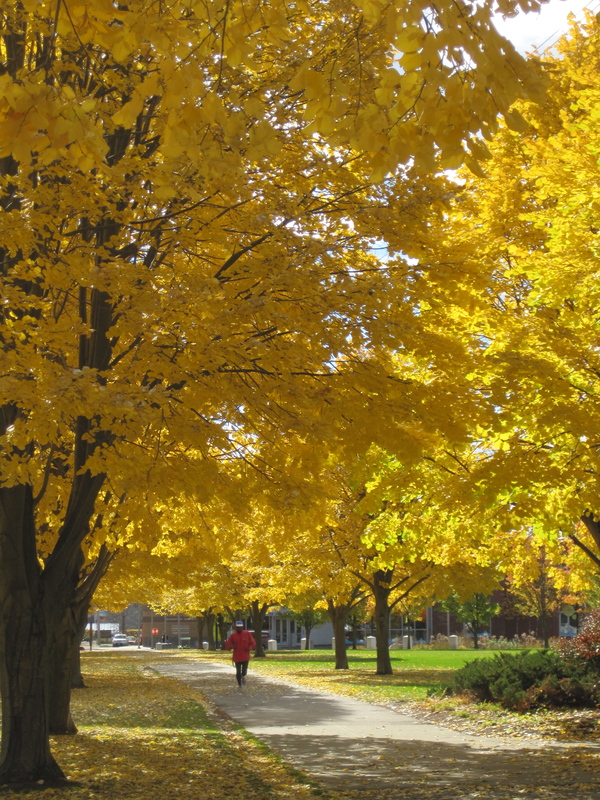 People come to Vermont in the fall to look at the foliage on the mountains, and they pretty much avoid the state’s small cities while doing so. 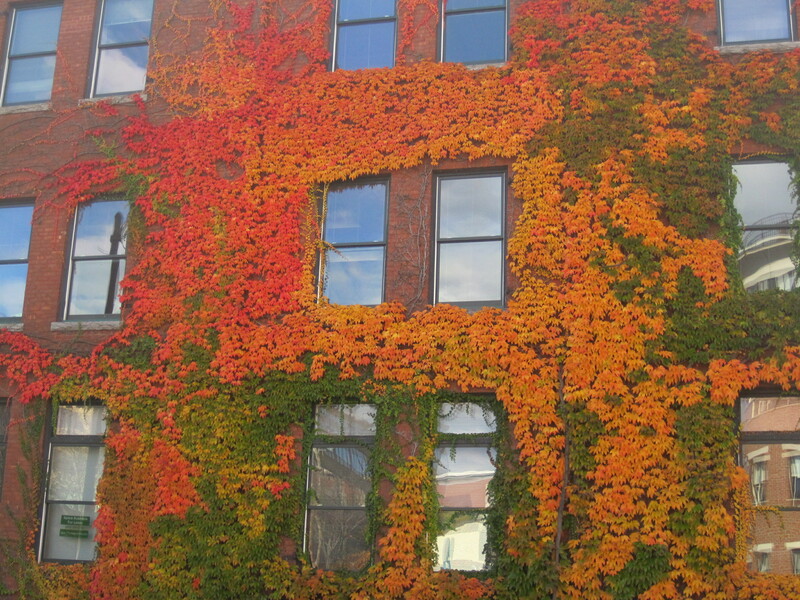 Blue sky is reflected in the windows of a brick building in Burlington, Vermont, covered in autumn-colored ivy. But after most of the leaves are gone from the hills, the towns put on one last, late breaking show. Pictures here are in Burlington, Vermont on Thursday. Since then, even the city leaves have pretty much blown off the trees, and stick season is here. This entry was posted on October 30, 2010 at 10:17 am and is filed under Uncategorized. You can follow any responses to this entry through the RSS 2.0 feed. You can leave a response, or trackback from your own site.